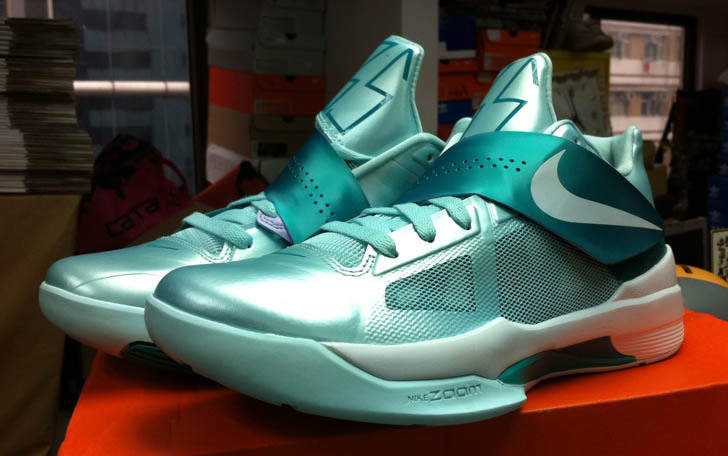 This color way of the Nike KD 4 released in 2011 for the Easter holiday and sports a minty color way. The sneaker features soft green tones on the upper, outsole, strap, tongue, laces, and liner. Overall, the color way sticks with dark and light shades of green. There are white contrasts that can be seen on the Nike swoosh, heel, and midsole to finish up this color way.